Homework: Finish all spelling assignments, complete vocab notebook for the week, and Tic-Tac-Toe reading activities (not GATES reading group). For math do 5.2 the front side only, skip #3. Tomorrow the kids receive their Blue Ribbon Tie-dye t-shirt and we will be assembling our class banner with items that represent ourselves, our hopes, and our dreams. Have a great night. Write some more leads. Make them scary this time. That's a scary house on the hill. Is that a haunted house. as i walk i see a spooky looking house and i go inside as a wait for something to happen CRASH! MB 4-2 I think I just saw somebody in the house on the hill. I was walking into a church at night to pray and when I knelt down I felt an icy hand on my shoulder.I looked back, and screamed. Wouldn't want to go in there on a dark night!!! As i walk in the house I here a voice!!!!!!!!!!!!!!!!!!!!!!!!!!!!!!!!!!!!!!!!!!!!!!!!!!!!!!!!!!!!!!!!!!!!!!!!!!!!!!!!!!!!!!!!! Im waiting for my friend at the scare house when she calls and says she cant come. I here a noise. MB 4-2 Once somebody went up there and never came back he said.then all of the sudden I heard a stick crack. 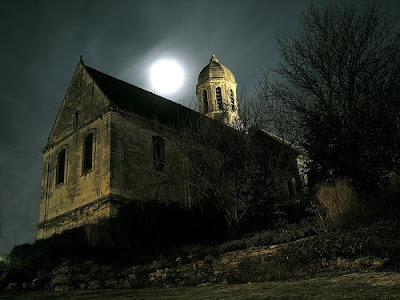 it was a stormy night I was inside a church praying and i heard a strange noise a scream! Then I felt something on my sholder I looked back and it was a GOOST! i was walking in a house and MOOOOOOOOOOOOOOOOOOOOOO! i turn around AHHHH I HUNTED COW! THat freaky guy on the hill just charged his dog at us. I herd that someone went in this house and never came back!!!!!!!!!!!!!!!!!!!!!!!!! I went into a house and ran away. I fond a haunted house on the hill. Look at that at that house AWWWWWWWWWWWWWWWWWWWWWWW!!!!!!!!!!!! AWWWWWWWWWWWWWWWW that witch person is riding on a flying broom! ! ! ! ! ! ! ! I went in to my friends house it looked kind of spooky but then crash. As I go into a house I HEER A SKREEM!!!!!!!!!!!!!!!!!!!!!!!!!!!!!! Hahaha I heer it agen hahaha it in that casel aaaaaaaaaaaaaaaaaaaaaaaaaaaaaaaaaa!!! I have a friend that lives in this house she must be a vampier.